The VIBE project addresses the challenge of developing the innovation and entrepreneurship system across the SEE by enabling private investment into innovative entrepreneurial companies in partnership with smart public initiatives and investment. VIBE offers a transnational integrated approach by avoiding unnecessary duplication, mobilizing a critical mass of the regional investment, innovation agencies and providing efficient support to investors, policy makers and agencies with the aim to encourage high-growth of entrepreneurs across te Regions. The long-term econ omic growth of the SEE region depends on industrial restructuring to boost innovation, investment, productivity and exports. Boosting private sector investment in innovative growing companies increases industrial output and added value, which in turn enables growth of high-technology exports. Net new job creation and growth is mostly generated by a small percentage of fast-growing companies. Access to finance is consistently rated as the biggest challenge for these high-growth innovative companies by many studies of the European Commission or the OECD. Fostering both access to venture capital, corporate investment, business angel activity and linking in with international investors as well as increasing the growth potential of innovative companies and their investor-readiness are crucial to the development of a knowledge-based economy in the SEE region. The VIBE project addresses this challenge of developing the innovation and entrepreneurship system across the SEE by enabling private investment into innovative entrepreneurial companies in partnership with smart public initiatives and investment. VIBE offers a transnational integrated approach by avoiding unnecessary duplication, mobilizing a critical mass of the regional investment, innovation agencies and providing efficient support to investors, policy makers and agencies with the aim to encourage high-growth of entrepreneurs across the Regions. 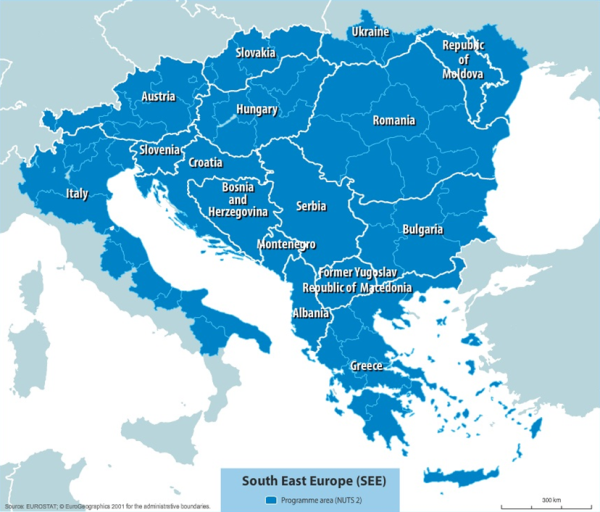 VIBE partnership is composed of 20 partners from 12 different countries of the SEE region (Slovenia, Greece, Italy, Romania, Hungary, Former Yugoslav Republic of Macedonia, Serbia, Albania, Bosnia and Herzegovina, Croatia, Bulgaria, Montenegro). The Lead partner of wide partnership is SPIRIT Slovenia, Public Agency. Implement an effective coaching platform and components with 120 SMEs and 120 expert coaches that doubles the chances of fund-raising of the SMEs. Implementation of 4 Venture Forums. Preparation of Policy paper with key issues to foster investment into innovative companies.